Hungarian admiral and statesman who served as regent from 1920 to 1944. Horthy was born in Kenderes in 1868, and educated at the Naval Academy of Fiume. During World War I (1914-1918) he became admiral of the Austro-Hungarian navy. After the war he returned to Hungary and organized a counterrevolution against the communist government of Béla Kun. Horthy was made commander in chief of the Hungarian armed forces in 1919, and in 1920 the National Assembly elected him regent. As regent he defeated the attempts (in March and October 1921) of Charles I, former emperor of Austria and king of Hungary, to regain the throne, a move in which Horthy was supported by the Hungarian government. Under his regime, Hungary became the first post-World War I nationalist dictatorship in Europe, ruthlessly suppressing all political opposition. During the 1930s, Horthy's government, supported by a strong tide of nationalism, wanted the Treaty of Trianon, Hungary's settlement with the Allies in 1920, to be revised to return parts of Czechoslovakia, Romania, and Yugoslavia. After the Munich Pact of 1938, Hungary appealed unsuccessfully to the Western countries to help it reclaim sections of Slovakia that were awarded to Czechoslovakia in the Treaty of Trianon. Failing there, Horthy sought help from the Germans. Delegates from Germany and Italy agreed to arbitrate the Hungarian demands. The first Vienna Award in 1938 gave Hungary a section of Slovakia with a large Hungarian population. The second Vienna Award in 1940 gave Hungary a large section of Romania. In return for the Romanian territory, Hungary agreed to fight with Germany and Italy in World War II In 1942, believing that the Axis powers would lose the war, Horthy began negotiating a separate peace treaty with the Allies. However, the Germans occupied Hungary in 1944, and Horthy chose to install a collaborating, pro-German government rather than face German takeover. When the Union of Soviet Socialist Republics invaded Hungary in October 1944, Horthy tried to surrender to them. The Germans discovered this and arrested him. 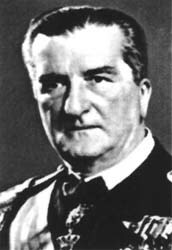 At the end of the war, Horthy was captured by the United States Army in Bavaria and was held in protective custody until the end of 1945, when he was released. He spent the rest of his life in Portugal.